We will hold a Tenebrae Service in our sanctuary at 7:00pm. The church office will be closed this day. High School offers youth an amazing opportunity to spread their wings while still enjoying the security of life at home. As high school students become more independent, our goal is to help them develop a strong faith and spiritual practices that will continue with them into adulthood. At James Island Presbyterian, Youth Ministry has three components: Presbyterian Youth Connection, Sunday School and Youth Music. Working together, these ministries enable our youth to participate in worship, Bible study, service, and fellowship with one another and the entire congregation. During the Wednesday Night Live semesters, youth in grades 9-12 are invited to join “Senior High PYC” following WNL dinners. Each week, youth will gather from 6:30-7:30 for spiritual conversations centered around a common theme for the semester and to enjoy games and special projects. In addition to helping them to grow spiritually, the friendships and mentor relationships that are developed within the youth group continue to nurture our youth into adulthood. Our Sunday School classes are divided into Confirmation (9th Grade) and “Senior Highs” (10th-12th Grades). Both classes meets upstairs in the Christian Education Building at 10:00 a.m. and are led by a team of dedicated volunteer teachers. 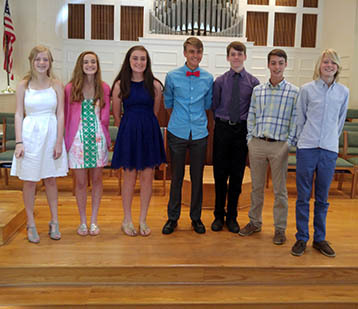 During Confirmation, youth learn the basics of the Christian faith and the specifics of what it means to be a part of the Reformed Tradition as a Presbyterian. At the end of the school year, youth are given the opportunity to make a public profession of faith and join the church. Senior High Sunday School combines Bible studies and studies of contemporary issues to help youth see the way following Christ affects every aspect of our lives. Throughout the year, we host several events and retreats just for Senior High youth along with others for the entire family. 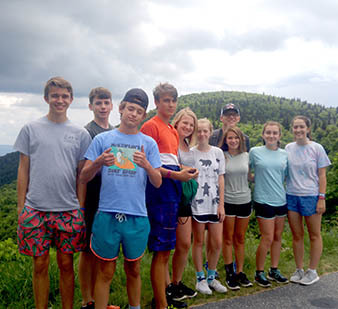 Youth are invited to join the biennial trip to Merida, Mexico, and they also enjoy the summer rafting trip to Tennessee, a MLK Weekend retreat, the School Spirit Run for Niger, Youth Banquet and Silent Auction, and the Downtown Christmas Shopping Trip. Check out our calendar for what’s coming next in Youth Ministry at JIPC or contact Allison Hubbard, our Director of Discipleship.